If you just bought a brand new Xbox One, there are some essential tips and tricks you should know that will help you get the most out of your new console. 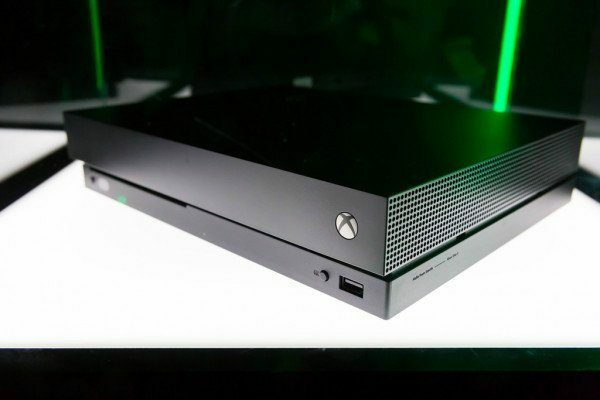 Connecting your Xbox One to your TV is very simple – just plug in the included HDMI cable into the labeled HDMI output port on the back of the system and the other end into an HDMI input on your TV. Also, of course, plug the power cord (power supply) into the console, and plug it into the power outlet. When you connect your Xbox One for the first time, you’ll go through a few initial setup steps, such as selecting your language, setting up a Wi-Fi connection, and creating a new Xbox Live account (or sign in with an existing account). Just follow the onscreen instructions after plugging it in and plugging it in. Important! – When you first use an Xbox One, you MUST connect to the Internet via an ethernet cable or via Wi-Fi to upgrade the system. You can not use the system until you have downloaded these updates. You do not need to keep it connected later, but you need to connect at least once to update it. Be patient! It is also important to remember to be patient during the initial startup and update process. It may seem like nothing is happening or you are not making progress, but be patient. Thinking that something is wrong and attempting to restart it can cause problems if the update is interrupted midway. Be patient. On the unlikely chance that something will go wrong (as you see a black screen or the green screen of the Xbox One for more than 10 minutes), you may actually have a problem. Microsoft has troubleshooting help for this on your site. Only a small fraction of a percentage of systems have a problem during the initial configuration, however, as we said, be patient because your system must be updated successfully. No one wants to sit for an hour after opening their new Xbox One while it’s upgraded, so a good idea is to carry out the initial setup and update process before handing the gift, and then putting it back in the box. That way, your children (or anyone receiving the gift) can call and start playing right away. All games, including physical media games, must be installed on the Xbox One hard drive, and this can sometimes take a long time (usually because you need to install a game update at the same time). Just like in the above tip, it is probably a good idea to pre-install the games in advance before gifting children and even adults, so they can turn on the console and start playing without having to wait. Do not just stick it on a shelf, in an enclosed space. Your new console needs room to breathe and ventilate. So your Xbox One will do a much better job. Also, be sure to put the power supply (plugged in) somewhere that has ventilation as well, and do not place it on the floor on the carpet (carpet fibers can block openings and cause overheating). Do not stack the games over each other, and do not place items like boxes on top of the console. This blocks the ventilation and also reflects the heat back to the system. Take care of your console and it will have much longer durability. Let’s say the panel is unstable and slow, or a game is not loaded, or that Xbox Live is acting strangely, or a host of other problems. The best way to resolve this is to hold down the power button on the front of the console for several seconds until it is turned off. This shuts off the system completely, instead of putting it to sleep, and completely resets the hardware. Similar to resetting a computer, this procedure fixes many problems. It’s much harder for bad guys to get your information if you enter your credit card information into the system. There will be nothing for someone to steal if it is not in your account, right? It is best to use Xbox gift cards purchased at physical stores or digital codes from online retailers. They come in a wide range of denominations, so you can get exactly the desired value. Another safe option is to put a PayPal account on your system. That way, you get multiple layers of PayPal security. In 360, you needed separate signatures for each account. On Xbox One, an Xbox Live Gold subscription covers everyone who uses this system, so everyone can have separate accounts with their own achievements, and they can play online, but you do not have to buy all your own substitutes. You no longer need a Gold subscription to use applications like Netflix, YouTube, Hulu, ESPN, among others. Now you can download them with a free account. (Additional signatures required for applications still apply, of course). 8. You’ll probably need an external hard drive. The internal hard drive of the Xbox One is not small, but the games are definitely huge and will fill the 500 GB drive quickly. Depending on how many games you plan to buy, you may not run out of space, but if you intend to use your Xbox One to play many games, you will need an external drive eventually. Using the Snap feature, you can snap applications and certain games (for example, Threes!) To the screen while you’re playing, watching TV or doing anything in the main part of the screen. You can easily control the captured applications, or choose what you want to dock by double-tapping the Xbox Guide button (the large X of the control), which will display the pop-up menu. Although the policies have changed for more than two years, there is still a lot of confusion about it. So let’s clarify. There is not always an online check-in. Microsoft is not watching you with Kinect. You do not even have to use Kinect if you do not want to. Used games work exactly as they always did – you can trade them or sell them or give to your friends. Anything you hear in these other ways is false. How do you Watch Blu-ray Movies with Xbox 360?